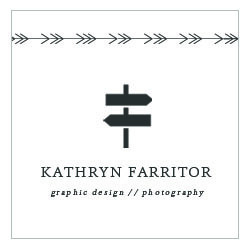 Hello friends, I have two new business card templates on in the Etsy Shop today. These are for YOU to customize – you will receive an editable Photoshop file to add your own information to it. Fonts are listed and they are free for download (they cannot be included in the file for copyright reasons). Everyone say “ooooh” and “ahhhh” or some other golly-gee-I’m-in-awe-phrase.Enjoy! Never in a million years would I pair Passion Pit with Taco Bell, but guess what folks, the two have intertwined. In an incredibly cool marketing push, Taco Bell has publicly launched it’s Feed the Beat campaign, which apparently, has been seven years in the making. They are helping up-and-coming bands reach new audiences, supporting them with free food, stage appearances, commercial spots, and promotions on social media. I absolutely love the idea that a national company like Taco Bell is using it’s corporate power to reach out to young people dreaming and living their passion. Seriously, what a cool campaign, website, imagery, film. It’s all stellar. A round of applause. Turn up the music and bring me some queso.